thank you for your comments on my presentation. I perfectly understand your point and I think that going for 40dB MC would be challenging but possibly feasible. 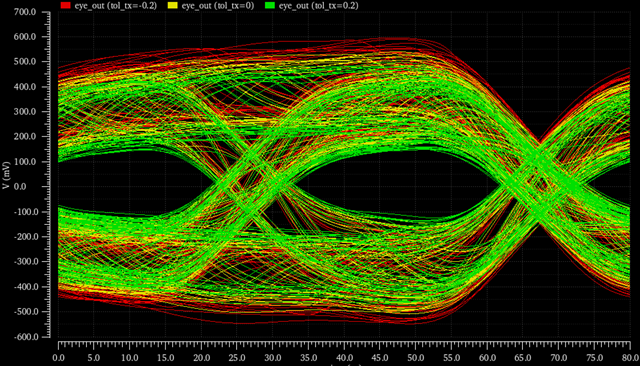 Please, find below the additional simulation results. Thanks for the presentation today looking at EMC/EMI and the adopted Mode Conversion Requirement. 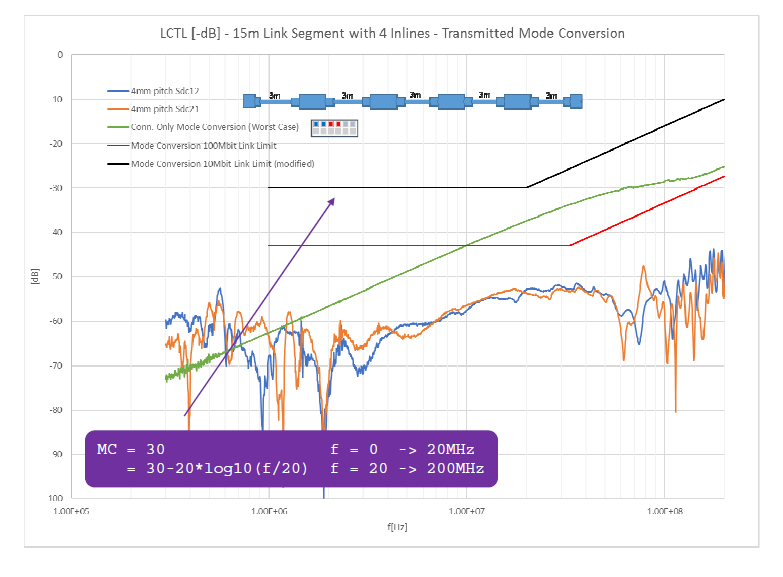 As you are probably aware, the goal for some OEMs is to reuse existing cables and connectors for the 10Base-T1S to keep the system cost to a minimum. This was the background for the already adopted link segment requirements. 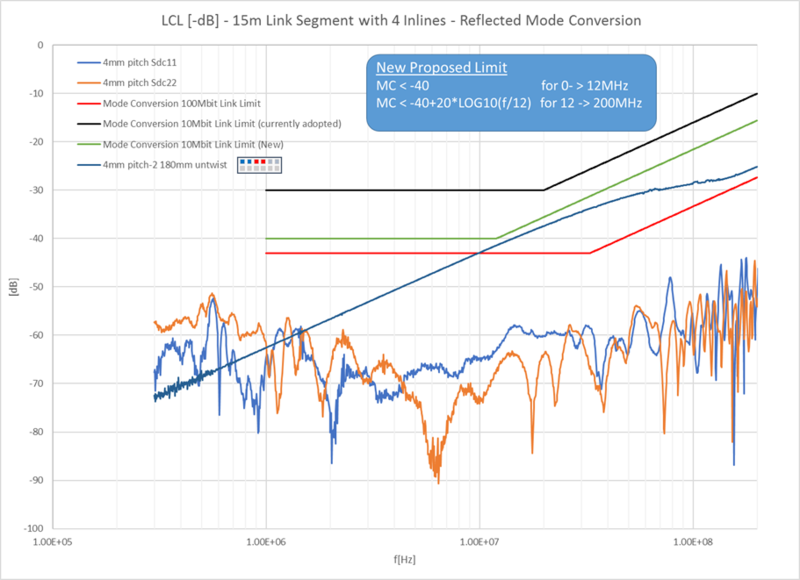 The MC Limit was first suggested by BMW based on some testing they did with an actual vehicle harness, see link below. After re-analyzing my test data, I would suggest the following MC limit given below in the new graph. The new green curve still allows the connector to pass the mode conversion requirement. Would you be able to test this new MC limit in a similar fashion to the presentation you gave today? I’m very curious to see if this would give adequate results in your simulations.